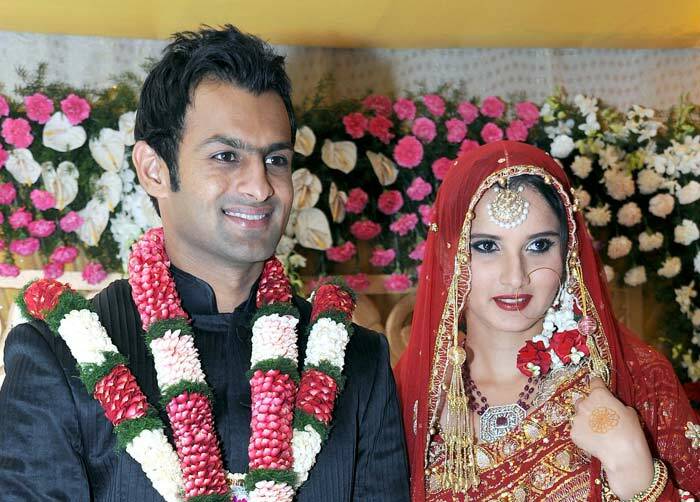 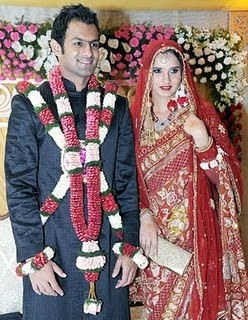 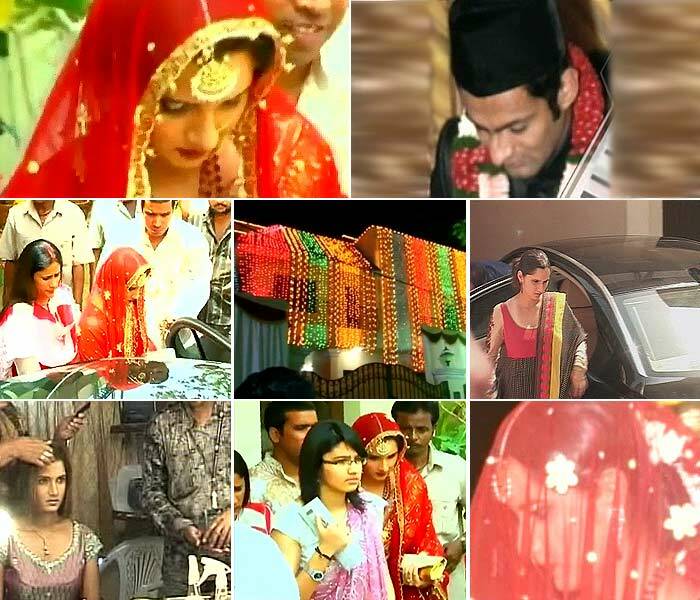 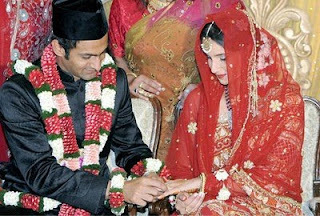 Indian Tennis star Sania Mirza and Pakistani cricketer Shoaib Malik's Wedding Pictures at Taj Krishna in Hyderabad. 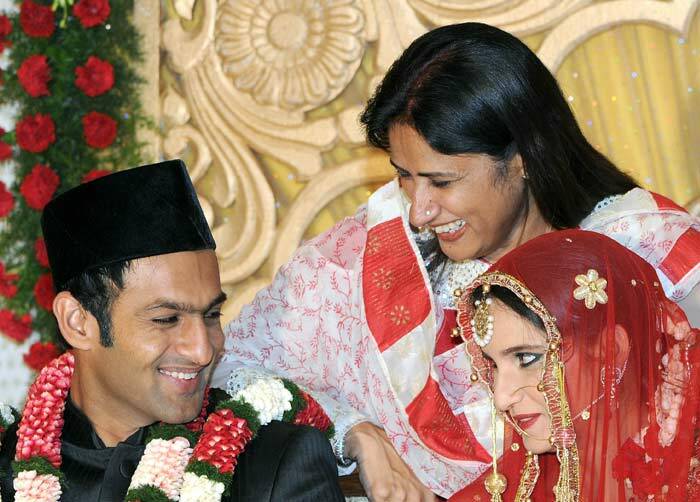 Sania wearing 25 year old red saree which was worn by Sania’s mother during her marriage. 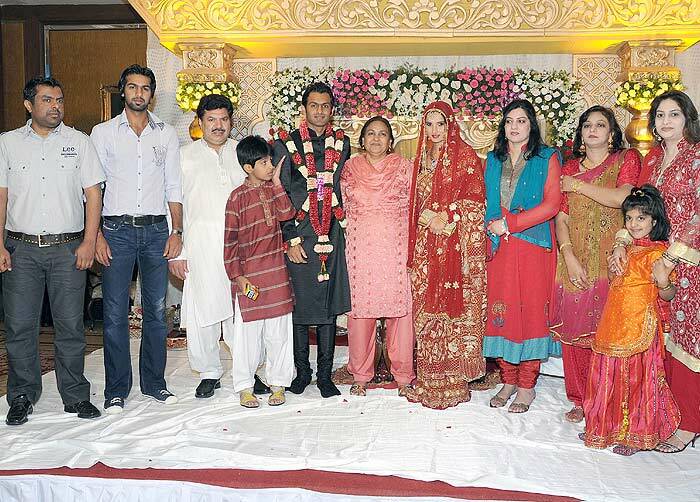 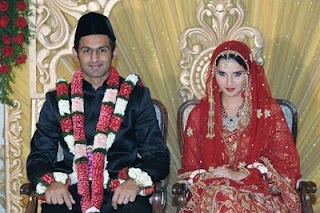 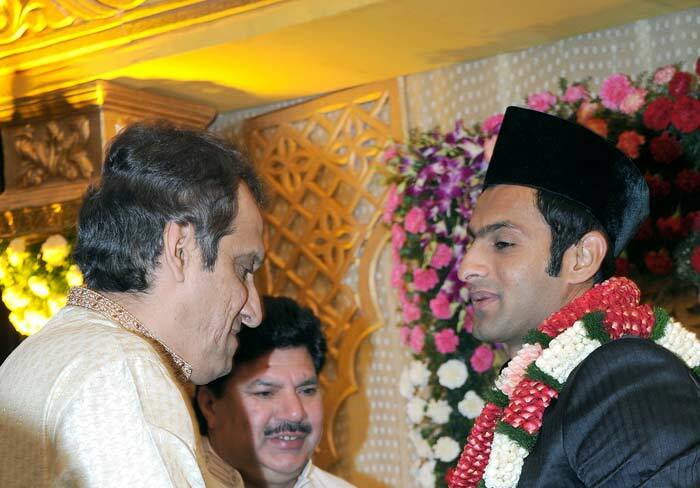 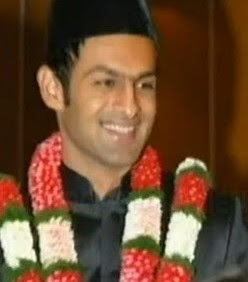 and Shoaib Malik wore a Black Sherwani designed by famous designers Shantanu and Nikhil. 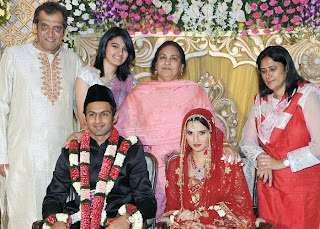 The nikah was organized in the presence of very selected people which was consisted of only the family members and their friends.